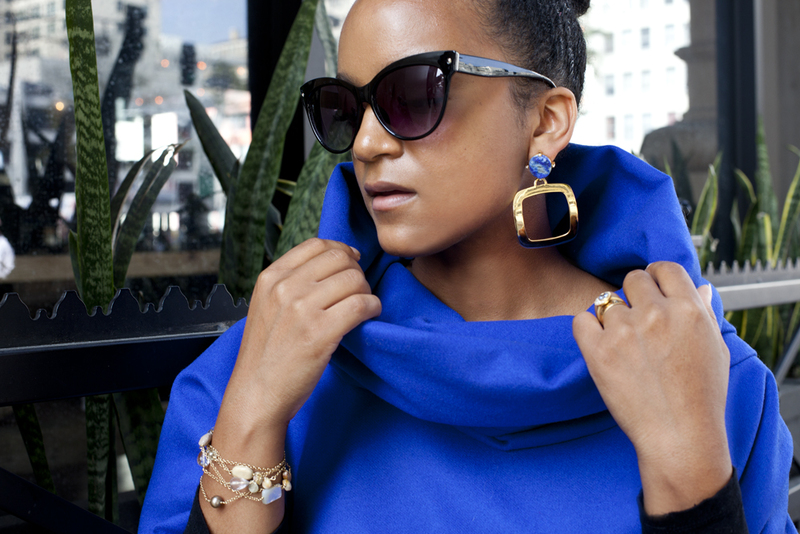 The Tiny Closet: "Fabulosity, In All Seriosity"
My new lapis earrings by Karla Deras for Roman Luxe were perfecto for my poncho and of course, with the look going further into regal, my thrifted cat-eye sunnies followed suit. The only thing I was disappointed with were my mary-jane heels. My tap shoes would have been so much cooler I realize now. But that just goes to show how versatile this outfit could be and will be because you truly can do so much with just two pieces. In my case, my two pieces were a poncho and gypsy pants...oh the possibilities ladies! Really. Working with a new hairstyle.... we'll see what the survey says - it might just be my new do! 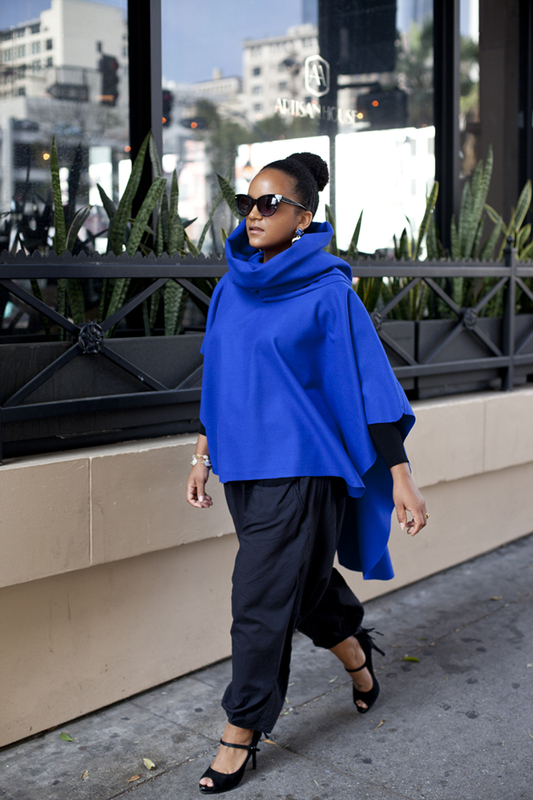 I LOVE that poncho! I don't know if much else needs to be said except that it's wonderful and I want one! I've been loving your ponchos. You've recreated what could otherwise be so blah. And I especially love how you've been focusing on your relaxed pieces lately . Fashion blogs can seem very costumed and so well thought out that its nice to see some realistic , soft , fun and interchangeable pieces . Great ensemble. 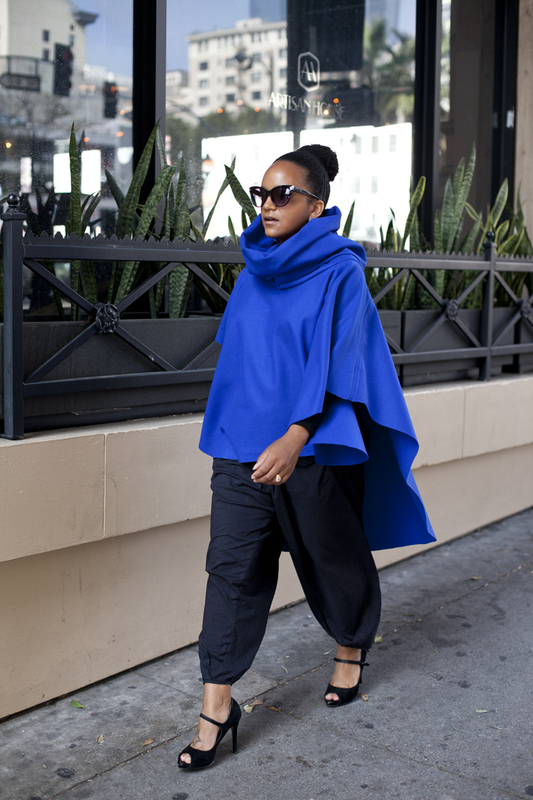 I adore the poncho. And those earrings are to die for! "In, all seriosity, this really was fabulosity" - AGREED! And I actually love the mary janes with this. Very ladylike. I am so inspired by you. Where can I purchase your capes? Beautiful. 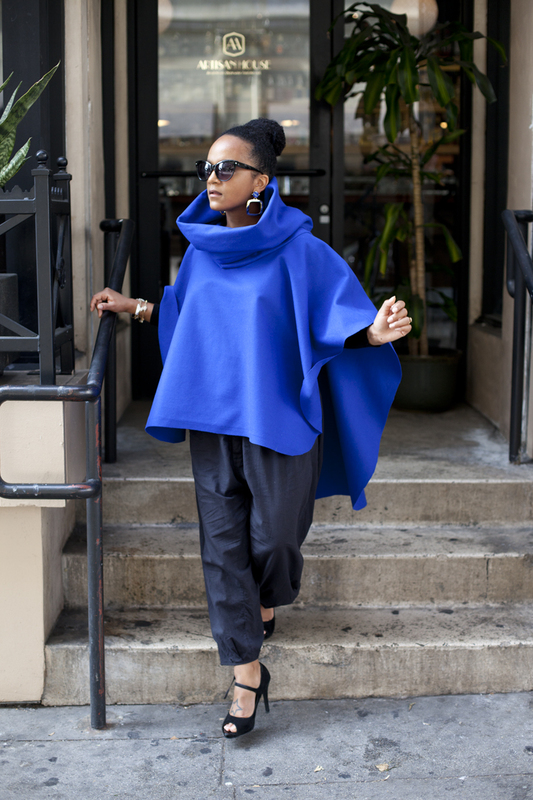 Love the poncho and cute earrings. The shoes are just classic. Love the look. The color looks great on you. This is such a fun look! Super cool. Has your style changed after moving? Other than dressing for warmer weather, of course. OBSSESSED with that cape!! Fabulostity indeed!